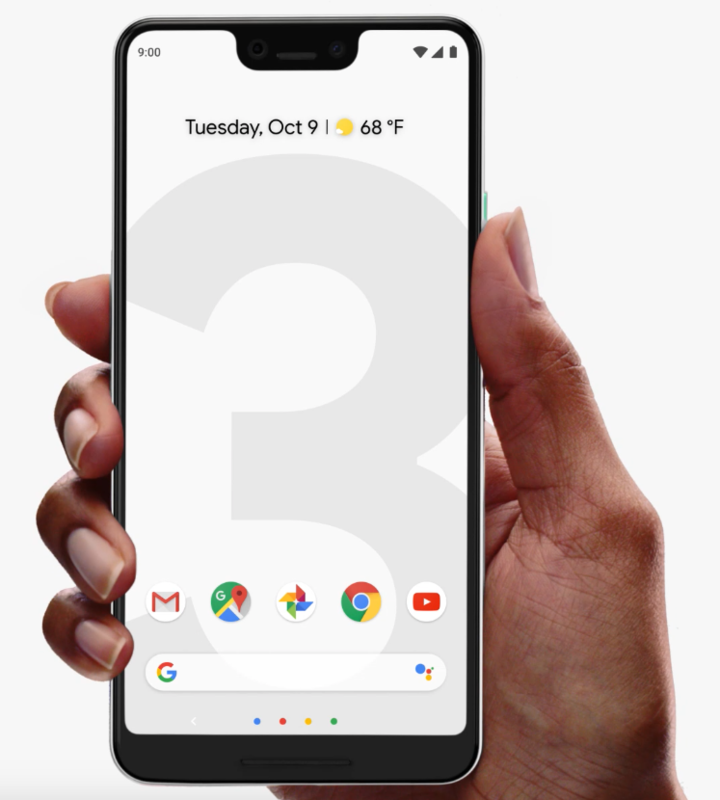 Google Launched the Google Pixel 3 and Pixel 3 XL Yesterday in an event “Made By Google” hardware in New York. Along with the two phones Google also launched Google Home Hub and the Pixel Slate. Pixel 3 & Pixel 3 XL Comes with few different upgrades comparing it to its predecessor. Lets discuss what these new devices has to offer this time. Google Pixel 3 XL has a 6.3-inch QHD+ 1440p X 2960p OLED panel with an aspect ratio of 18.5:9 with thick bezels. The Pixel 3 on the other hand has the same FHD+ Screen as Pixel 2 but it has more screen area, the Screen is 5.5-inch 18:9 which gives a 10% more surface area. There is no notch in the Pixel 3 as compare to a notch in the Pixel 3 XL. Both the Screen supports HDR, Colour Modes and Always on Display. The HDR support makes it a YouTube Signature device. There is also a Boosted mode which offers punchier colour. In terms of protection both the phone comes with Gorilla Glass 5. Pixel 3 XL has the 3430 mAh battery which is slightly less than the last year Pixel 2 XL. But the Pixel 3 has 2915 mAh Battery which slightly increased over the Pixel 2. This year for the first time Pixel 3 and Pixel 3 XL supports wireless charging. 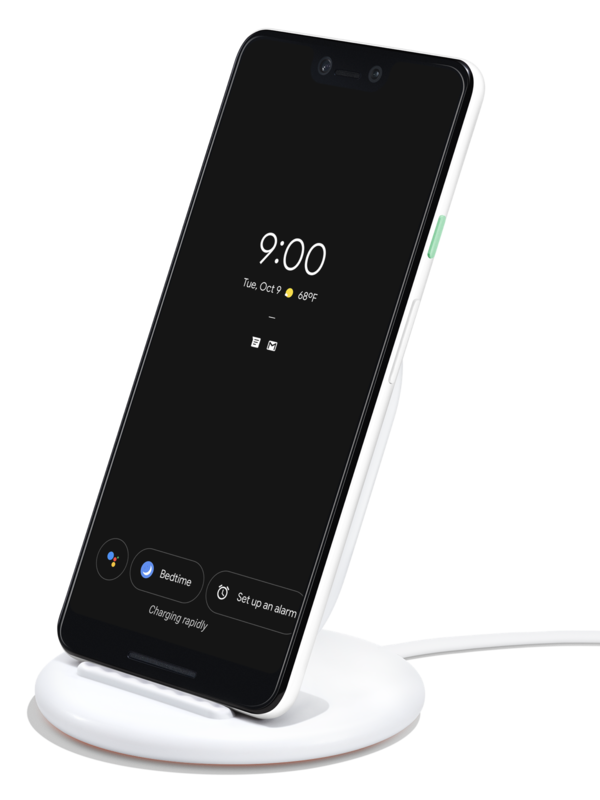 There is a Pixel Stand which can charge both the phones wirelessly at 10W, Same as the Pixel 2 Wired Charging. There are other functionalities of the stand which will allow the new Pixel phones to work as Photo Frame, Google Home and also a Sunrise alarm. In terms of Wired charging its faster now due to a 18W charger which is included in the box. According to Google 15 minutes of wired charging will give you 7 hours of usage time. Rear camera hardware is not changed and the phones comes with a single 12 MP camera with OIS and 1.4µm pixels. The aperture of the rear camera is f/1.8 and in terms of software changes Google has added the HDR+ back and is also introduced Top Shot. Top Shot is an AI system which make sure everyone in the photo is in Focus, smiling and has their eyes open. The feature automatically pick up the best of several shots. Apart from that there is also a Photobooth mode that will automatically click a photo when you smile. There are other features such Super Res Zoom that tries to make up for the lack of a telephoto lens by enhancing the details of the image when using digital zoom. The rear camera can shoot videos at 4K 30fps and also offers fused video stabilisation. Google also featured Night sight which will be enabled with a software update later, the feature uses AI to capture low light images without a flash. 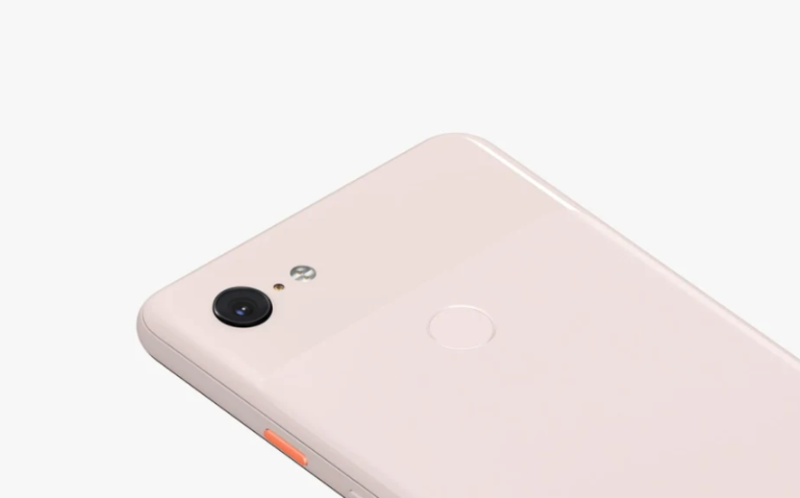 In terms of Front camera both the Pixel 3 and Pixel 3 XL has dual front cameras of 8 MP Each. The difference in both the camera is lens size there is one wide-angle 97 degree and one normal 75 degree lens. The normal camera has a an aperture of f/1.8 with Autofocus Phase detection and the wide camera has a fixed focus with an aperture of f/2.2. There is no Optical image stabilisation in the front but the front shooters offers Digital image stabilisation. Pixel 3 And XL is powered by Snapdragon 845. The CPU is downclocked to 2.5GHz for the big cores and 1.6 GHz for the small ones which will offer better battery backup. The difference of processor in the Pixel phones to other Snapdragon 845 processor phones is just 0.2 GHz. In terms of RAM both the phones has 4GB RAM and comes in two variant 64GB and 128GB with no option to extend the memory through MicroSD card. Talking about the audio both phones comes with front facing stereo speakers and as there is no 3.5mm headphone Jack for the first time Google included the pair of USB-C Earbuds in the box. There is also a USB-C to 3.5mm headphone adapter which promises lower power usage. Both the phones are waterproof with IP68 rating which is an improvement over the last year IP67. 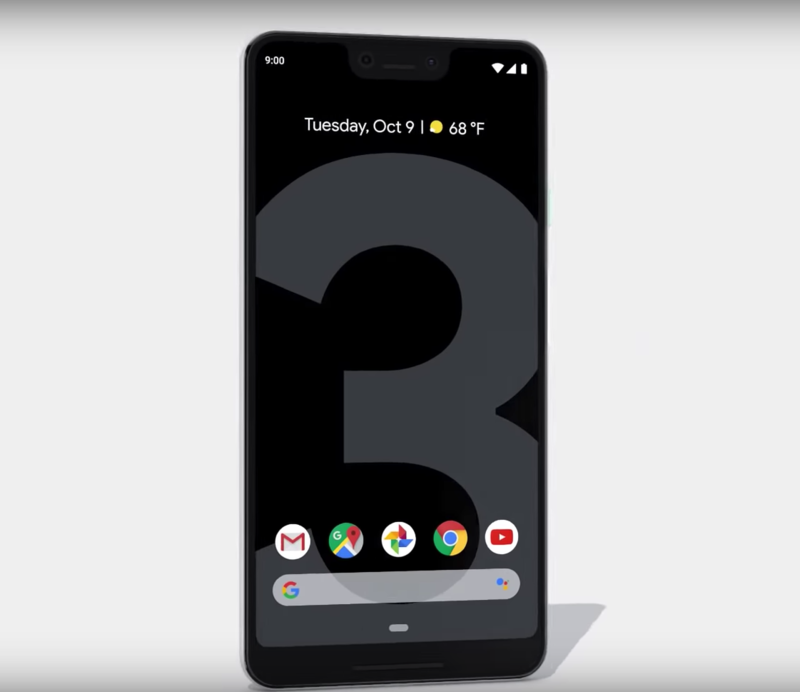 Pixel 3 and Pixel 3 XL will come in three colours Just Black, Clearly White and Not Pink. Pixel 3 is available in India For Rs. 71,000 for the 64GB Variant and Rs. 80,000 for the 128GB Variant. On the other hand Pixel 3 XL is priced at Rs. 83,000 for the 64GB and Rs. 92,000 for the 128GB Variant. The prices are higher than the last year which is mainly due to the higher USD – INR conversion. Preorders for both the phones start from Tomorrow October 11th and will start shipping from November 1st. Stay Tuned for more for more updates on Pixel 3/XL and also Subscribe to Our YouTube Channel Gadget Gig For Latest News, Reviews, Unboxing and Tips/Tricks.